Tonopolis. Practical activities exhibition / Ewa Doroszenko, Rafał Kołacki, Jacek Doroszenko. 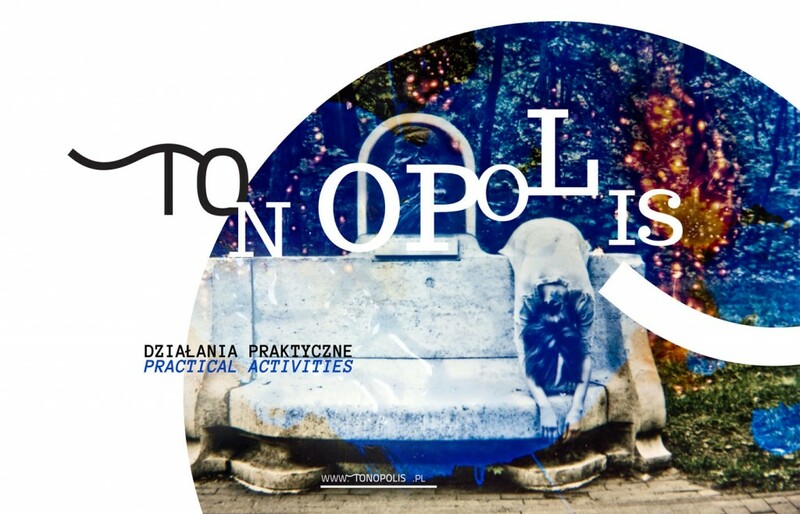 September 7th – October 5th, 2012, Centre of Contemporary Art, Torun, Poland. The movie is a short report from the preparation and opening of the exhibition. The tonopolis.pl interactive Internet presentation, that takes the form of an audio-visual trip around Torun, reflects the sonic nature of the city. It serves as an inspiration and background for several stories presented as linear animations. Ewa Doroszenko’s photographs, which constitute the core, directly show the places conjured up by the sounds. Each scene has its own individual aesthetic and narrative character, built up with the use of formal means chosen individually for every place. The internet site is in a close relationship with the music album of the same title. Exhibition by Ewa&Jacek Doroszenko and Rafał Kołacki consists of several connected productions: photography-painting based installations, series of photographs made using the authors’ methods and an visual installations. Each piece is made using a different style and wide interpretation range. What each holds in common, however, is a shared vision of Torun.